Charles “Cha Chi” Page, 72, passed away Wednesday, April 18, 2018. He was a loving husband, dad, poppa, uncle and brother. He was a member of the Trenton Church of God, where he served as a Sunday School teacher during the 80s and 90s. He worked for Dixie Savings Stores for 28 years and retired in March, 1999. After retirement, he spent his days buying and selling odds and ends to friends and family out of an out-building and basement that his niece, Alison, nicknamed “Chachi’s Wal-Mart”. He enjoyed family vacations at the beach, family outings at MaMaw’s and hanging out with friends at Vanda Clark’s Auto Service. He just loved being around people. He was preceded in death by his wife, Pat Page; son, Chuck Page; father, Max Page; mother, Ruth Page; and brothers, Jim and David Page. Survivors include his daughter, Elizabeth Page; sons, Jeff (Cristal) Page and Paul (Mary) Page; stepson, Michael (Tammy) Pangle; sisters, Betty Ruth (John) Emmett and Trish Avans; brother, Ronnie Page; eight grandchildren; and and six great-grandchildren. A special thank-you to all the family and friends that prayed, brought food and spent countless hours visiting with Dad during his last days. The family wishes to express their appreciation to Michele Holifield with Tapestry Hospice, daughter-in-law, Cristal Page and special friend, Johnny Bailey, for the endless loving care they provided over the last five weeks. Funeral services will be held Saturday, April 21 at 2 p.m. in the Trenton Chapel, with Brother Randy Tinker officiating. Burial will follow in Trenton Baptist Cemetery. 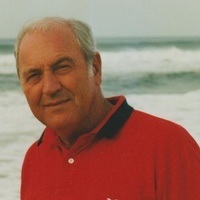 Visitation will be Friday from 4-8 p.m. and Saturday from 11 a.m.-2 p.m.
Leave your thoughts and prayers at www.moorefuneralhometrenton.com.